A couple decades ago, patent portfolios were considered to be one of the most indispensable assets of an organization. It was the time when quality was given more importance and filing patents was not a mere numbers game. Blind filing was extremely low and granted patents were normally considered to be valuable, both in terms of quality and face value of the patent. But with changing times, there was a change in the way patents were being used. In the name of patent strategy, companies started filing hundreds of patents annually to get a lock over technology. With little attention given to quality and in the race to file before the competitors, the patents that were supposed to protect a technology most of the times were either so narrow that the technology wasn’t sufficiently covered or so broad that most of them were presumed invalid. Continuation patent applications were filed to expand the scope of narrow patents and provisional patents were filed in the pursuit of getting an earlier priority date. This situation led to the exponential filing of patent applications. As proof, consider the following situation – Back in 1911, when the millionth patent was granted, it had been 75 years since the establishment of the USPTO whereas, between Dec 1999 – May 2018 alone, 3.99 Million patents were granted in the US. The much speculated 10th Million patent was just issued on June 26, 2018, taking which into consideration, 4 Million patents would be granted in the US in a period of 19 years, approximately 4100 patents issued every week. The pace at which technology had advanced in the past few decades can be a good explanation for the rising number of patents filed and granted. After all, innovation is supposed to be protected and filing patents is a good way to protect innovation. That pretty much explains the growth in the rising numbers of patent applications and thereby granted patents. But there is still one question that needs to be answered – Were all the patents granted valuable to the assignee? Did each patent add value to the portfolio of the assignee? Though there has been an exponential growth in technology leading to the exponential filing of applications, it is the way that they are filed that dampens its value. With little attention given to claim language and the lack of a proper prior art search, most patents that have been issued over the past few years are low in quality. Most patents lack a supportable infringement position, are clearly invalid after a thorough validity search or have poor claim construction that fails to adequately cover the invention. Sadly, all the three factors are a sign of low-quality patents. Author’s Note: Low-valued or weak patent filing is not inevitable. It can be avoided if one knows the reasons for low-quality filing and few remedial measures. To help you out of the rut, I’ve explained the reasons for the same along with its remedial measures in another detailed article, which could be accessed from here: Click here to avoid low quality patent filings. How much is a Low-Quality Patent worth? According to Eric Halber, a commercial litigator, 90% of granted patents are valueless. Here valueless doesn’t imply precious, it implies that 90% of patents that he reviewed in his 20+ years of experience had zero value. Considering the above statement leads us to one question — How many valueless patents do you have in your organization’s patent portfolio? There is a high probability that more than a questionable size of your patent portfolio contains such patents. A 50-50 chance. Those patents might either have poor claim language, are clearly invalid or lack a supportable infringement position. So would having these patents in the patent portfolio of your or your client’s organization would serve any purpose? No. Instead, the goal should be to conduct a portfolio analysis to figure out the low-quality patents, which upon being discarded can increase the overall value of the patent portfolio. How abandoning low-quality patents benefits you? Are you wondering how would abandoning low-quality patents from your portfolio benefit you? Consider the following instance — Your company has accumulated a large portfolio containing hundreds of patents covering multiple technologies. Now, you might have multiple patents which are of no use to your organization anymore and trying to make the most out of the situation, you decide to monetize your patents. Though there are multiple ways to monetize a patent, you decide the best course of action would be to sell them and find a prospective buyer. The deal amount has already been negotiated and the potential buyer gets due diligence performed on this portfolio. Now in case if your portfolio is robust and of high quality, there is nothing to worry about. But if there are any wrinkles/defects on this portfolio be it related to confusion in the ownership of the patents, or terms of an existing licensing deal or low-quality patents which have nothing great to offer, chaos will ensue creating delays in the transaction and renegotiation of the deal value. In those cases, it is a possibility that you might get lesser than what your portfolio is worth. Low-quality patents will, in fact, cost you a lot more than what they are worth. Hence, it becomes necessary to eliminate such patents from your portfolio so that even if due diligence or any kind of portfolio analysis is performed, you would emerge as the winner. How to Spot Low-Quality Patents in your Portfolio? It is often noted that there are a few quality indicators that could be analyzed to determine the quality of a patent. Based on the study of the indicators, a patent could be classified either as a high-quality patent or a low-quality one. Normally, the quality of a patent could be estimated in one of the two ways — By performing a Subjective Analysis or an Objective Analysis. When was the patent filed in the evolution of the technology? Type of claims and much more. Based on the study of these factors, the rank/strength of a patent is determined. To give you an idea, consider the example of US Patent US8671099 assigned to IBM. A subjective analysis reveals the following details about the patent. Despite being ranked among Top 10 Patents for 2014 on the popular IPWatchdog blog, we could see that the patent had a rank of 12841 out of 57534, which means the patent ranks among the top 25% patents in IBMs portfolio. 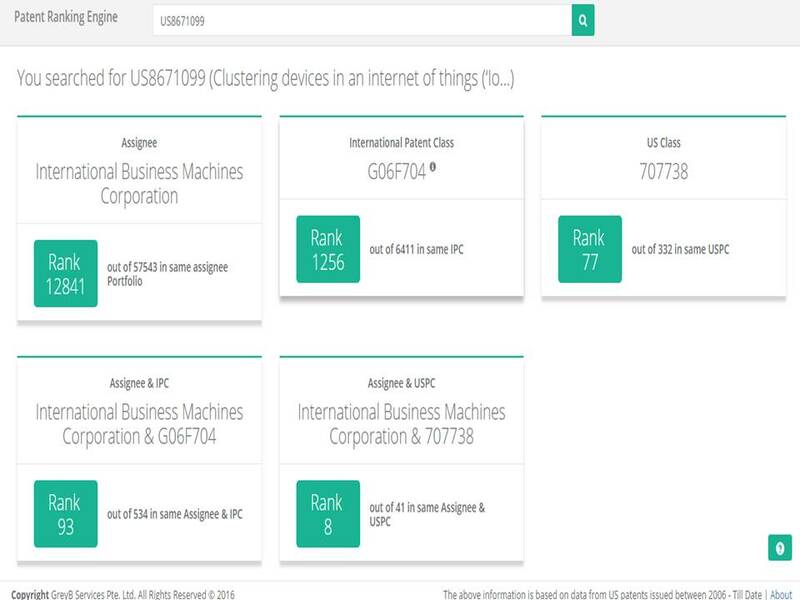 The snapshot of the tool also gives an overview of the overall ranking of the patent in various facets like its ranking in international IP class and US patent class. For the curious soul: The patent ranking engine is free to use. Check the ranks of your own patents here. Normally, the results of the objective analysis are broad in nature and can only provide a general overview of the quality of the patent. The rank of a patent is a great indicator of its strength. Lower the rank, higher the quality of the patent. But, no matter how accurate, there are times when the objective analysis is not the best option. When the goal of the client is to estimate the quality of the patent portfolio of an organization, either for an M&A, IP acquisition or licensing purposes, a subjective analysis should be performed to decide whether it is a profitable move to invest in the IP or not. When the objective of the client is to conduct a portfolio analysis for the purchase of an IP portfolio, it is very important to identify the relevance of the portfolio to the client’s product line, as this can be a deciding factor whether the purchase should be carried out or not. Though patents may have good potential infringement and a good market, however, if it’s not solving their technical problem, it may be of no value to them. Therefore, it’s important here that the searcher has a clear and thorough understanding of the client objective and their requirements. The Lifecycle of technology covered by the patent in question is an important aspect that can be a deciding factor for estimating the value of the patent. The value of a patent changes based on the phases of technology lifecycle covered in the patent. It is normally seen that patents are evaluated at the highest when filed during the development phase of a technology as the players are less and often patents granted in this phase form the base patents of a technology. On the corollary, during the declining phase of a technology, patents covering the particular technology are valued at a comparatively lower price. The value of a patent fluctuates depending on the current phase of technology lifecycle but it doesn’t have a direct correlation with quality of a patent. The point that should be noted here is that once a technology has reached the other side of the curve (i.e. the end of the declining phase and is replaced by a totally new technology) the patents covering the technology are worth nothing. Even the high-quality ones. For instance, consider the Plasma technology. Despite being used in almost all the first few generations of television, it is now replaced by LCD and LED technologies. Consequently, the patents covering the plasma technology are now worth nothing, even if they are of high quality. So the question is – Does keeping such high-quality patents where the lifetime of technology has expired in the portfolio a good thing? Believe it or not, these patents also fall in the league of bad patents despite having a high quality because there are zero chances of making money out of it. The better option is to abandon such patents so that the portfolio could be optimized. There are two phases in the life-cycle of a patent — Patent prosecution and Maintenance. 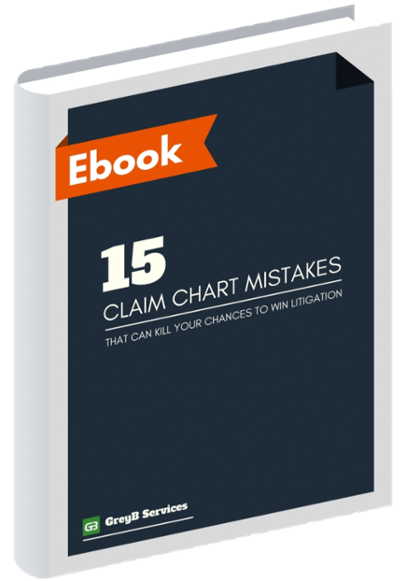 It is often seen that during the maintenance phase very few patents invite litigation. Only a very small fraction of patents that are granted get litigated or become stars that could be a potential source of infringement royalty payments or licensing revenue. Author’s Second Note: Unsurprisingly, it’s actually very easy to increase the number of star patents in your patent portfolio. Want to know how? Well, I’ve written a detailed post on the subject: Click to read how to file star patents with high ROI. In the IP world, these star patents are highly sought by everybody as they are similar to a hen that lays a golden egg every day. Be it NPEs or practicing entities, these patents are valued at the highest either with the aim of collecting royalties or strengthening the IP for the product line of an organization. Consider the following chart depicting litigation potential of various patents in a portfolio. Unlike the rank of a patent, here higher the number, better is the quality of patent. Consider the example of patent US690417B2 titled “Method of manufacturing cigarette suppressing the spread of a burn and apparatus for manufacturing cigarette suppressing the spread of a burn”. The analysis reflects a 98.6% litigation probability which means that patent has a very high infringement potential and is a great candidate for litigation. Such patents are quite a hit and reap maximum value if enforced. Patents with high litigation potential are indeed high-quality patents, but is it the case that patents that do not have a litigation potential are of low quality? Patents that do not have litigation potential aren’t low quality, but retaining such patents is of no use either if it lacks a licensing potential or does not cover any product being manufactured by the organization or competition. To be precise, bad patents aren’t just patents that have poor claim language, are presumed invalid or lack a supportable infringement position. Bad patents also include the ones that have zero licensing or litigation potential, covers a technology that has reached its nadir or is low in strength when compared to peers. The best decision is to get rid of such patents so that the portfolio can be optimized and future patents are filed based on the needs of the organization. Abandoning such bad patents can lead to an optimized portfolio where every piece of IP serves a purpose and the benefits of existing IP can be reaped while saving millions in maintenance costs. Money saved is money earned. Isn’t it? Performing a patent portfolio analysis on a half-yearly or annual basis can help an organization discover the best and discard the worse from their portfolios. The clutter-free approach can save maintenance fees and help companies determine the direction in which the production or development should take place based on the analysis of the existing IP. When each piece of IP is utilized and a patent becomes a product, not just the value of the portfolio increases but the value of the company also increases. And that’s the reason why you too should figure out and abandon the bad patents from your portfolio. Use the money saved in maintenance for filing new patents.